But the company, which has close to 70,000 employees, has not turned a profit since 2011, and critics say Lampert let the stores deteriorate over the years, even as he bought the company's stock and lent it money, making him its largest shareholder and creditor. 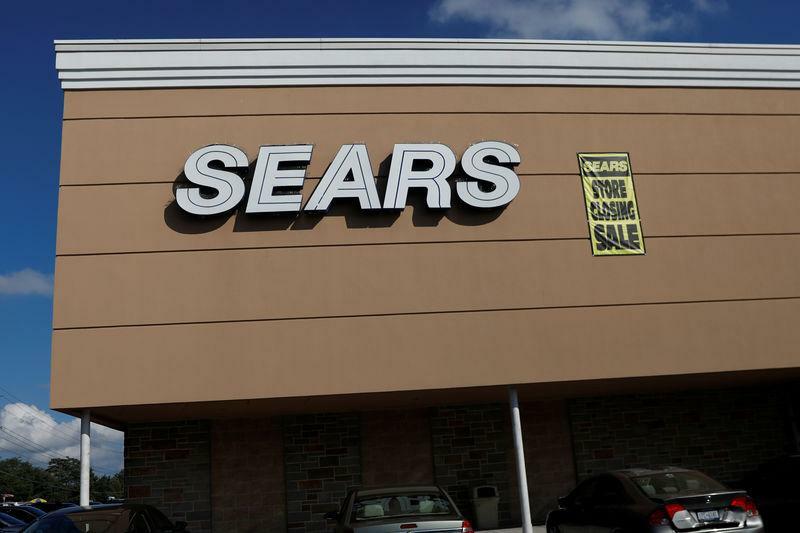 "For somebody of my generation, Sears Roebuck was a big deal... Sears has been dying for many years, it has been obviously improperly run for many years, and it's a shame," U.S. President Donald Trump told reporters on Monday. U.S. Treasury Secretary Steven Mnuchin was on Sears' board of directors between 2005 and 2016. Lampert and his hedge fund ESL Investments Inc own just under of 50 percent of Sears' shares and are its biggest creditor, with about $2.5 billion owed to him and ESL. He has so far not disclosed whether he has turned a profit or loss since he invested in Sears following years of complex financial engineering at the company. Beyond the $300 million bankruptcy financing package from its existing lenders that Sears secured on Monday, the retailer said it was negotiating an additional $300 million in bankruptcy financing from Lampert's ESL. Under the bankruptcy plan, Lampert's executive role will be replaced by a three-person committee. Mohsin Meghji, a managing director of the M-III Partners corporate advisory firm, was appointed chief restructuring officer. Sears is also weighing the sale of "a large portion" of its stores and said they could be bought by Lampert's hedge fund in a bankruptcy auction. "Most of the company is gone," Dietderich said. Major Sears suppliers, such as Whirlpool Corp and Electrolux AB, sought to allay fears about their exposure to the bankrupt retailer. Whirlpool said Sears' bankruptcy will have a limited impact on its business, while Electrolux said it did not assess a need for material one-time costs as an immediate consequence of Sears' debt restructuring. Meanwhile, Sears and Kmart stores are open for business. The company said it is continuing to pay employees' wages and benefits and is working with vendors to ensure its shelves remain stocked. "It’s a sad thing that they are going bankrupt. But they didn't run it quite well, and that’s the consequence of not running something right," said 61-year-old retiree Paul Thompson, a Kmart customer at one of its stores in Bridgehampton, New York.